Just finished these socks that are intended as a surprise present for a friend who has spent the whole summer studying. She has worked so hard and I’m very proud of her. Details to follow with the finished sock photos after I give them to her. 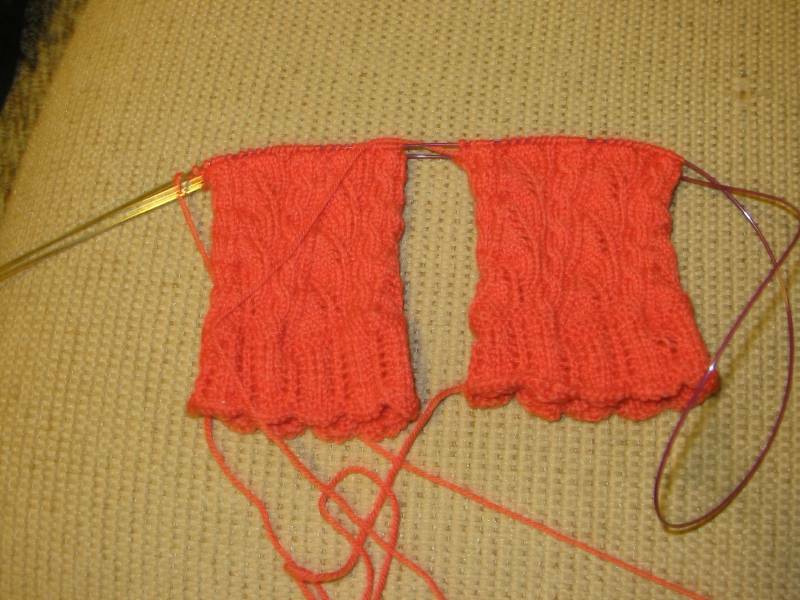 The pattern is Lace Socks by Ann Budd and was published in the May/June 2008 issue of Piecework magazine. 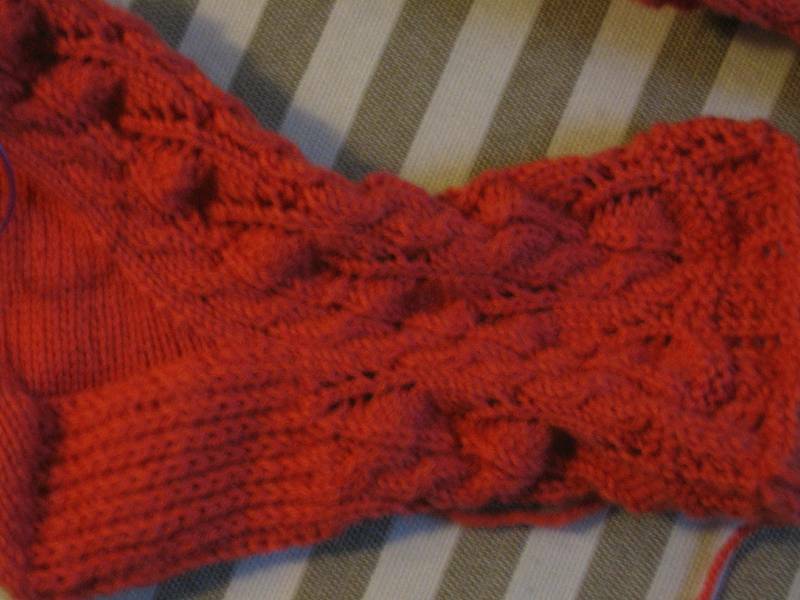 I used my favorite sock yarn, Knit Picks Essential. The color is Coral. I also made a helmetliner upon request for a friend at work. 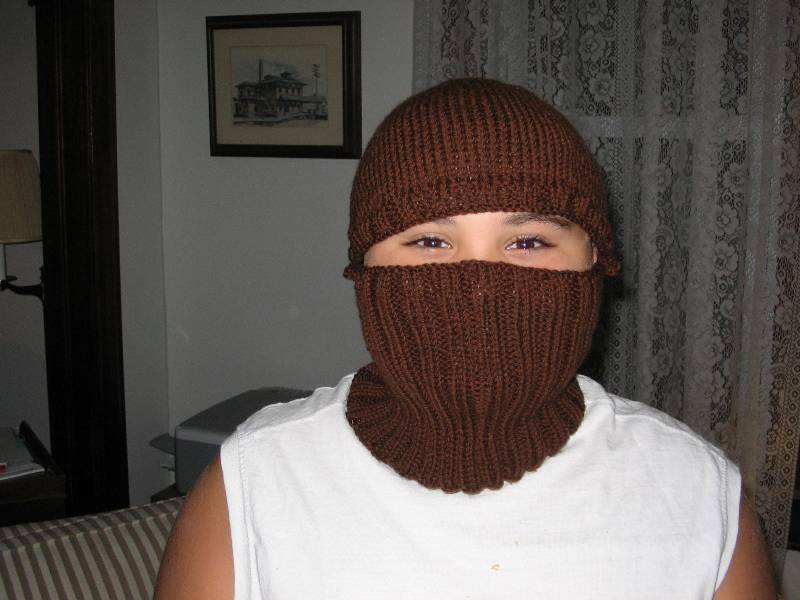 Her son is in the military and will shortly need this for keeping warm. This is modeled by both Ted and Ian. 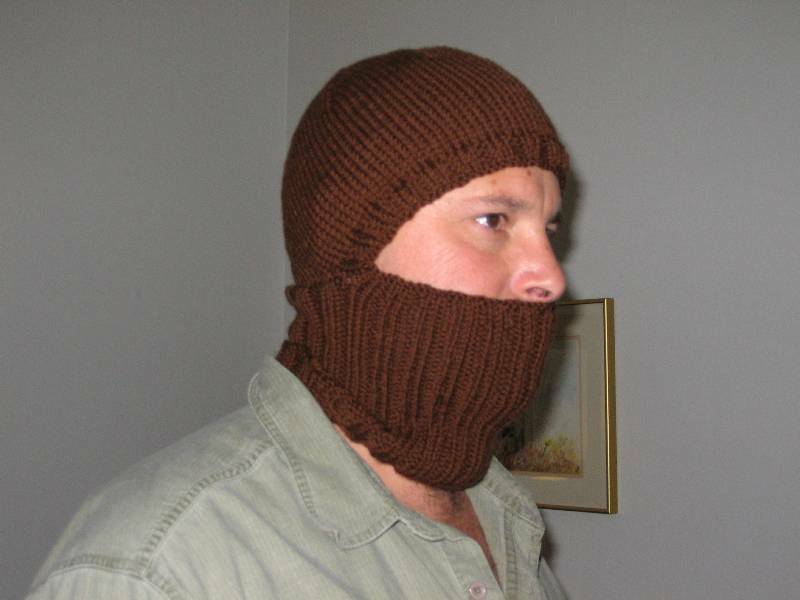 Ian thinks it makes him look like a ninja!